I've got a very royal vintage white ceramic vase for sale. 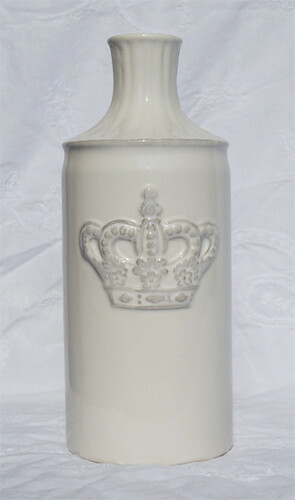 Here is a Vintage White Ceramic Vase with a crown imprint on one side for sale! The crown motif is hot right now and this vase would make a great addition to your home accessories. You could use it as a vase or just as an objet to display on a bookshelf or mantle. - In great vintage condition. You can purchase them at Shop Proper Hunt, my new Etsy store! Thanks!